I’ve said it before, and I’ll say it again: I’m not really a cosplay not, except when Final Fantasy is involved. That said, BioWare is still one of my favorite game developers, and it’s hard to not be immediately drawn to a stellar Mass Effect cosplay such as the one done by popular cosplayer “Ten.” A veteran cosplayer, Ten has paid homage to many different video game serious, including the ‘other’ insanely popular BioWare series, Dragon Age. Even all these years later, one of BioWare‘s most beloved RPG series continues to be Mass Effect, the sci-fi exploration series filled to the brim with engaging story and wonderfully relatable characters. Though the series’ most recent entry is widely-regarded as a misstep, fans’ hopes continue to hold the line for an eventual follow-up from BioWare sometime in the future. It appears that fans may actually get their wish according to a new piece of speculation. “Skullzi TV” over on YouTube has put forth a pretty intriguing video suggesting Electronic Arts has big plans for Mass Effect, specifically that original trilogy protagonist Commander Shepard may be coming back for another space-faring adventure. This just sold the game to me Legion is that you ? BioWare is known for many epic adventures, including the likes of Mass Effect, Dragon Age, and more. The release of Baldur’s Gate is what really made the studio take off back in 1998, three years after Greg Zeschuk and Ray Muzyka co-founded the company in Edmonton. With all of the news that has been surrounding Anthem, some fans of other BioWare franchises might feel a little left out. Sure, the studio is focusing on their brand new IP, but that doesn’t mean they’ve forgotten about the likes of Mass Effect or Dragon Age. Bioware has been known to place small hints and teases of their franchises within each other, for example being able to wear a Dragon Age-inspired armor set in Mass Effect 2 or the mounted Krogan head that can be found in Dragon Age Inquisition. Now Mass Effect appears to be setting its sights on Anthem, subtly infiltrating the next big BioWare title with style. According to Producer Mike Gamble, the people of Fort Tarsis celebrate N7 day too and his Twitter account features the Interceptor Javelin sporting a N7 armor scheme. This hasn’t been the first time the Mass Effect-inspired armor was seen either. One of the multiple devs streams also showed off Shepard’s iconic armor on the Ranger Javelin. Believe it or not, Ark: Survival Evolved does in fact have a story albeit one that’s obscure and told as interpreted by players. That story is set to conclude with the release of the latest expansion for the game called “Extinction” and takes players back to where the story began: Earth. Studio Wildcard has dropped a new launch trailer showing off the various new features such as a new “Orbital Supply Drop” that sees players fending off waves of enemies to gain loot. The enemies that survivors will face in this new feature are known as “Corrupted” and they variants of existing dinos that become unable to be tamed do to being corrupted by “Element,” causing them to become highly aggressive regardless of normal temperaments. 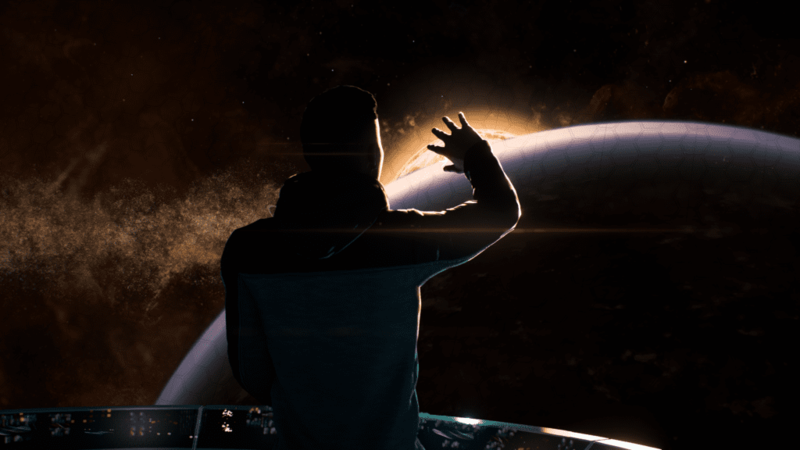 Last year’s indefinite hiatus of Mass Effect franchise unfortunately meant Mass Effect Andromeda would not receive any further updates from BioWare, leaving one of the game’s most intriguing plot threads dangling out in space. The mysterious lost Quarian ark housing several of the series’ familiar alien races had been memorably teased in the game’s campaign, but never received a proper follow-up. However, last year it was announced the distressed starship Keelah Si’yah would finally have its story told in the form of a new tie-in novel titled Mass Effect Annihilation. The book was to reintroduce the Drell, Batarian, Elcor, and Quarian races along their journey into the Andromeda galaxy, also revealing why they didn’t initially make contact with the Initiative. As evidenced by the novel’s official synopsis, the reasoning was considerably horrific. November 7th is a hallowed date for Mass Effect fans, the series’ dedicated collective of fans taking the occasion to show love to their favorite galaxy-exploring franchise. While players share their most beloved memories as Shepard and Ryder, developer BioWare also express their dedication in the form of a heartwarming video, this year’s celebration offering a retrospective of the N7 insignia. A lovely look back is sure to give fans a bit of the ol’ nostalgia, but may be ultimately bittersweet upon realizing the Mass Effect series’ current hiatus. Following the 2017 release of Mass Effect Andromeda, the epic-scaled shooter was put on indefinite hold as creatives instead shifted focus toward other projects. Many fans have since questioned whether a new game would ever again materialize. N7 day is finally here, and Mass Effect fans all over the world are celebrating BioWare’s iconic series by once again playing through the original trilogy, or exploring the unknown in Mass Effect Andromeda. Until today, there has been little word from BioWare as to what their plans were to celebrate November 7th, with the exception of a previously announced design contest. Thankfully, the developer has finally spoken out and released a heartwarming memorial video for the series. November 7th is finally upon us, and Mass Effect fans the world over are celebrating N7 day by playing through their favorite games in the popular BioWare series, whether it be squaring off against the Reapers in the original trilogy, or exploring the unknown in Mass Effect Andromeda. 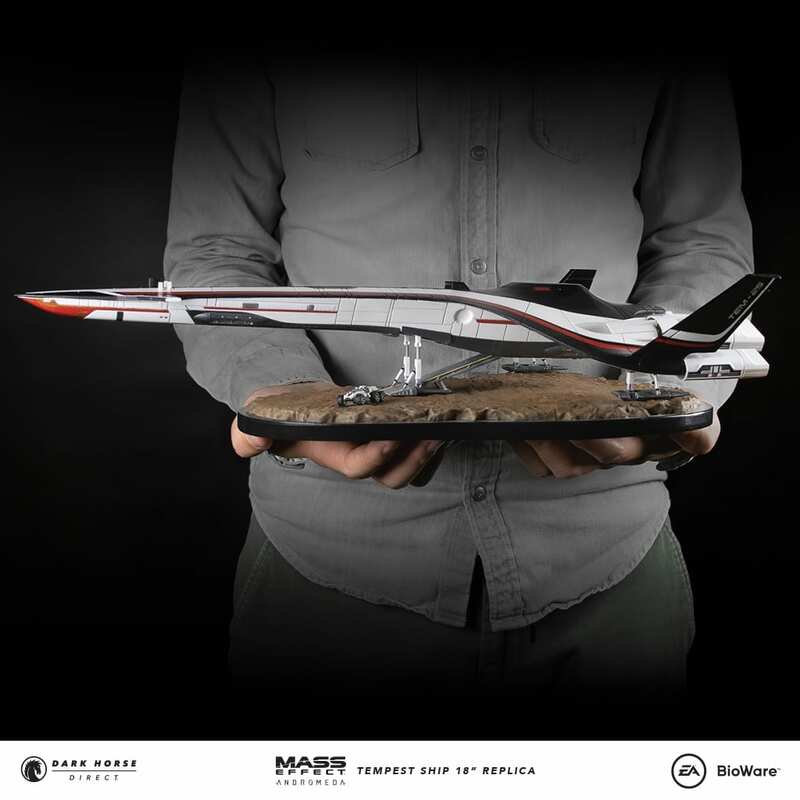 Now, it appears that fans of the latter game have something extra to celebrate, as Dark Horse Direct has announced a brand new Tempest ship collectible that is now available for pre-order. BioWare’s Mass Effect Andromeda was arguably the biggest video game letdown since Hello Games’ No Man’s Sky, with the former’s launch issues effectively crippling the title’s reception before it could really take off. That aside, Andromeda – and Mass Effect – still has a dedicated fan base, one that is looking forward to what will hopefully be a triumphant return of the series once BioWare wraps up development on Anthem. Now, with N7 day arriving tomorrow, it has been discovered that Mass Effect Andromeda is now listed as an Xbox One X Enhanced title. Mass Effect is experiencing a dry spell of titles as of late, with 2016’s ‘Andromeda‘ being the last we’ve seen from the mainline game series. Even longer we’ve been apart from former player character Commander Shepard, having last seen the hero meet their ultimate conclusion in the final battle of Mass Effect 3. However, it now appears the galaxy-spanning patron of alien booty has resurfaced in the form of some seriously spot-on cosplay. The creative crafter over at Cecilosaurus Cosplay has unveiled a lovely Female Shepard cosplay, sporting a solid recreation of the soldier’s iconic N7 armor. Seen below, we also take sight of a stealthy M-92 Mantis, the rifle also looking as though it’s stepped straight out of the games. Marvel’s Daredevil has finally returned to Netflix for its long anticipated Season 3, marking the Devil of Hell’s Kitchen’s first outing after the events of the mashup series The Defenders. With the new season becoming available on Netflix earlier today, many fans will be tempted to skip the show’s recap, though doing so would be to miss out on a pretty amazing Mass Effect 3 Easter egg. The Mass Effect series may be on a temporary hiatus, but that doesn’t mean its yearly ‘N7 Day’ celebration doesn’t have to inspire Commander Shepards all over the world to slap on their Omni-tools and scream “I should go” into the darkness! While BioWare has yet to reveal anything about this year’s November 7 celebration, the developer has teamed up with online retailer For Fans by Fans to create an N7 Day Design Challenge, giving fans a chance to design their own Mass Effect-inspired custom apparel, art prints, and more for the chance at winning some amazing prizes! Assassin’s Creed Odyssey is ushering in a new era for the franchise adding more RPG elements and choices to their already outstanding run. With more dialogue options, players can immerse themselves in game and engage in romance options and protagonist choices. Overall the changes are bringing in a fresh experience for a long running series of games.